CONCERT & TOUR ALERT | Nicki Minaj & Future 'NICKIHNDRXX TOUR' Dates & Info ~ Phresh Hott New! 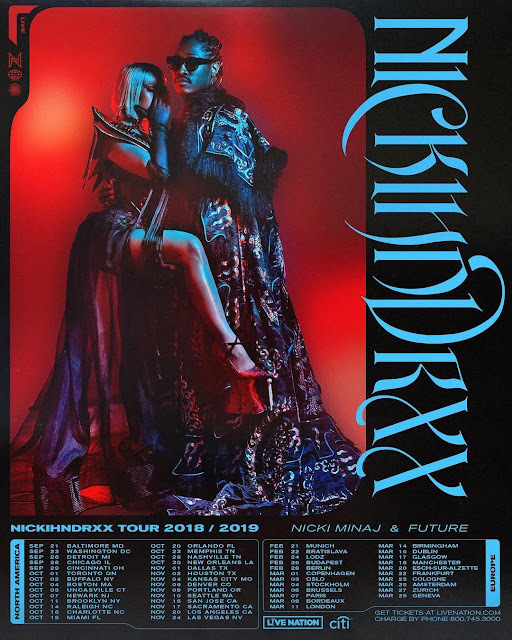 Nicki Minaj announces joint tour with Future ‘NICKIHNDRXX TOUR’, which set to launch September 21 in Baltimore, MD. Tour dates features North America and Europe cities, and many more. Presale starts June 12 at 10am local time. Public sale on June 15. Get More information at NickiHndrxx.com North America/Europe. Full itinerary provided below.